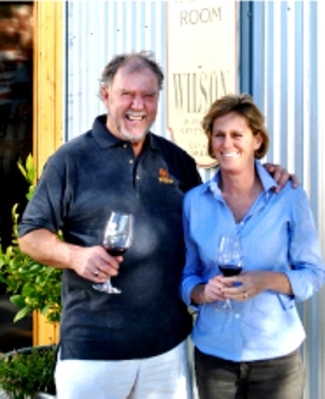 Ken and Diane Wilson first made a name for themselves specializing in Dry Creek Valley Zinfandels. Pezzi King Vineyards is an ideal match for the Wilson family’s philosophy of producing small quantities of high-end, handcrafted wines. The Wilsons, who are the owners of two other highly regarded Zinfandel-producing small wineries, Wilson Winery and Mazzocco Sonoma, are thrilled to have this 137-acre farm set in the hills above Dry Creek Valley. At the heart of this beautiful property are the vineyards, 65 acres of world-class Zinfandel and Cabernet Sauvignon—which allow the Wilsons to continue their commitment to producing only the finest wines possible while investing in the personal relationships with their clientele through private wine club participation. The Wilsons have retained the Pezzi King name, winemaker Chris Barrett, and other employees as they move forward with the daily life of the winery. Special attention will be provided to the wine club membership to assure ongoing commitment to value and quality.